A portion of the Internet said “no” to SOPA (the Stop Online Piracy Act) and PIPA (the Protect IP Act) this week with a powerful campaign that involved many websites, including O’Reilly, “going dark” to protest the pending legislation. The protests didn’t just involve the temporary shut-down of websites, however. People were voicing their opinions as well. According to Twitter, there were around 3.9 million tweets about SOPA on January 18, the day of the protest. 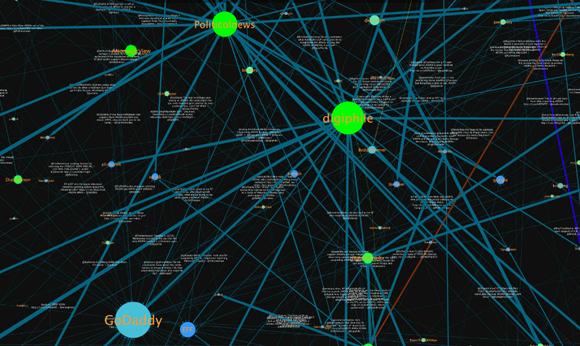 A small portion of Fred Benenson’s SOPA tweet visualization. See the larger version.